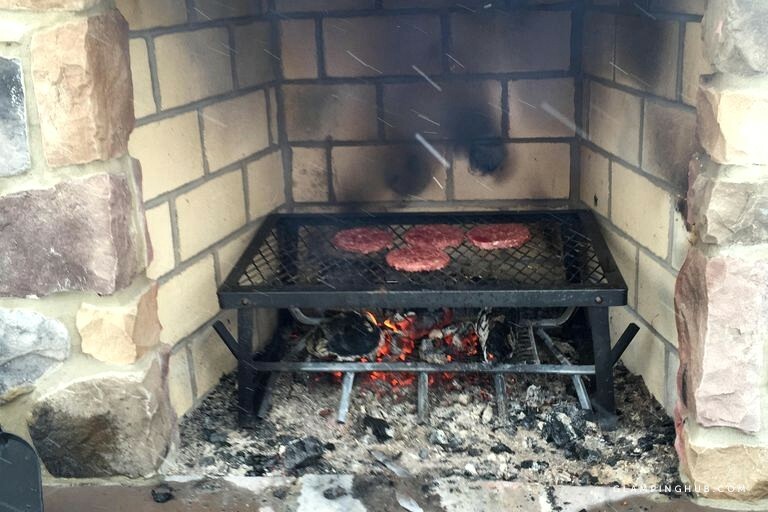 This chalet was great! The hosts were awesome! 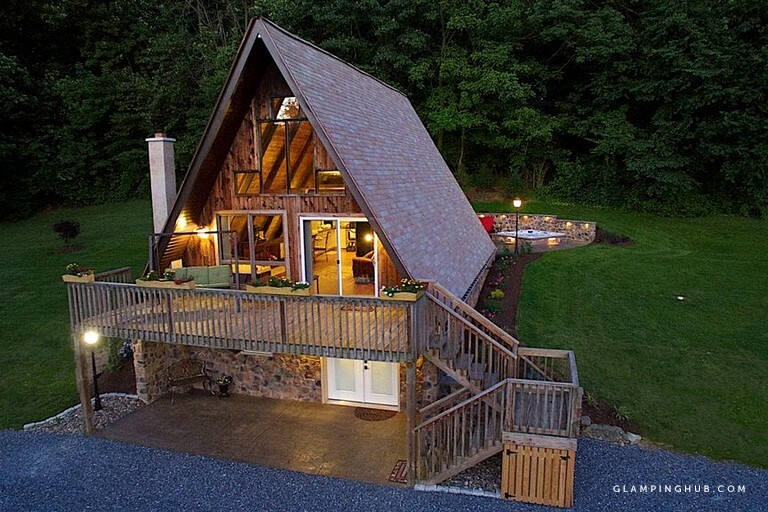 This stunning A-frame cabin makes the perfect couples' getaway. 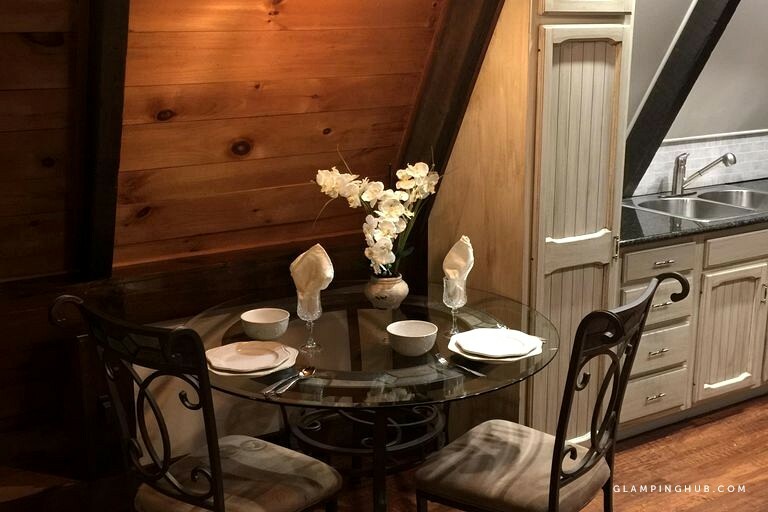 Tucked away on a lovely plot of land near Robesonia, Pennsylvania, this accommodation has everything needed for a relaxing stay for up to two guests. The lovely bedroom is furnished with a comfortable queen-size bed and the angled walls create a cozy atmosphere in the space. There is a full bathroom that is fitted with a toilet, sink, and shower as well as the suite having a soaking tub with stunning views out over the gardens. The main living area is open plan, with a comfortable sofa and a dining table to seat three. The accommodation is perfect for self-catering and the fully stocked kitchen includes all appliances and utensils including a fridge, stove, oven, and microwave. 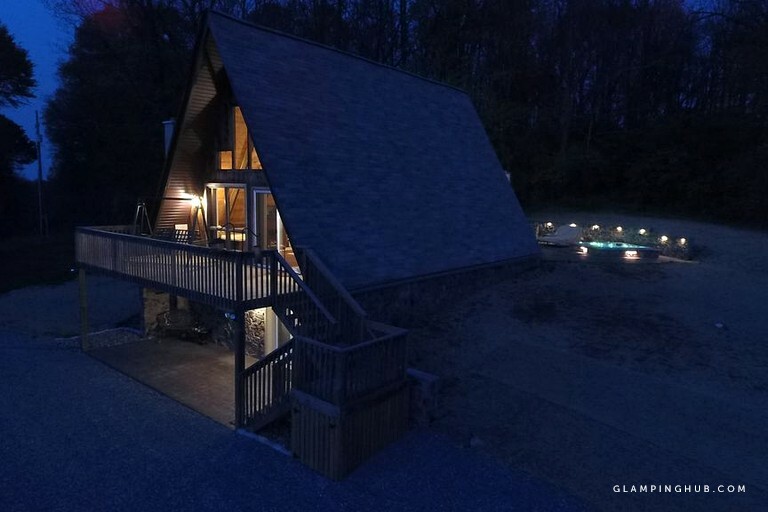 Glampers will find the property fully furnished and fitted with all modern conveniences needed for a relaxing vacation. The accommodation is fully air conditioned and has central heating as well as a fireplace and there is a washing machine and clothes dryer fro the convenience of guests. 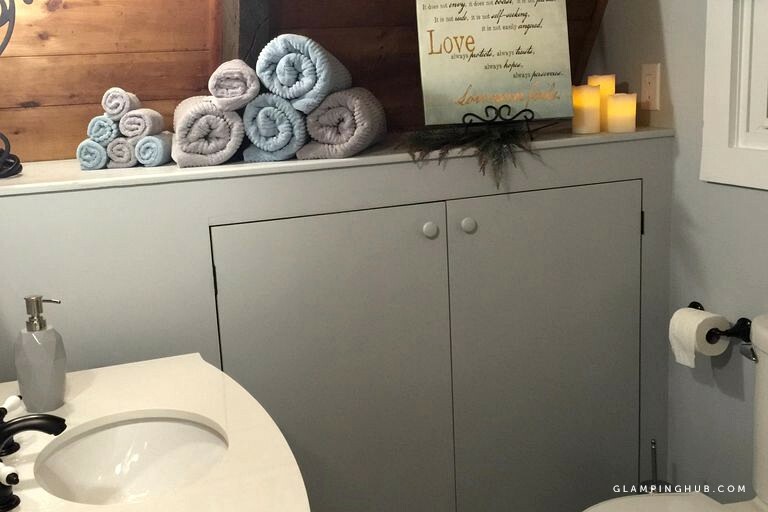 Towels and linens will all be provided by the host and there is Wi-Fi internet connection and a phone line so guests can stay in touch. 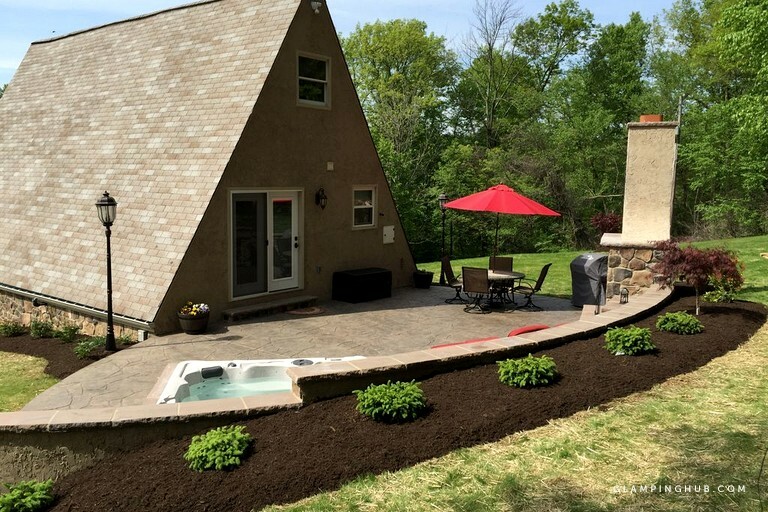 A big draw to this vacation rental is the use of a lovely pool and hot tub making it the perfect place to unwind and there is also a fantastic outdoor barbecue grill. 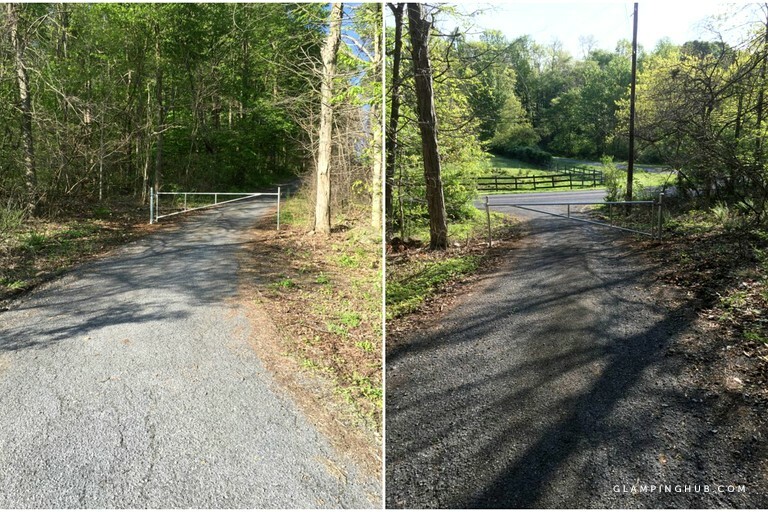 Guests will find this mountain rural location very private and enchanting and is only a few miles from restaurants, grocery stores, drug stores, and gas stations. 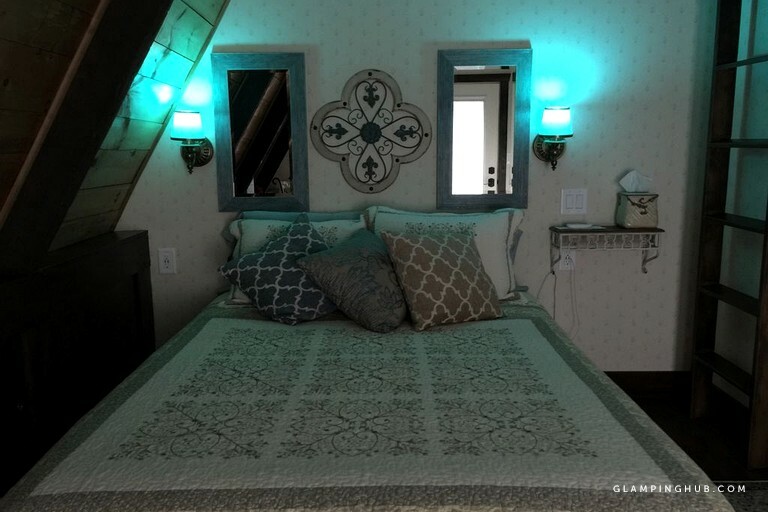 The cabin has been renovated within the last two years and restored with new appliances, flooring, furniture, paint, and lighting throughout whilst still keeping the aged ceiling beams and boards were kept in their original state. The host requests that guests please read the description all the way to the end, including the Weekend Reservation Policy. 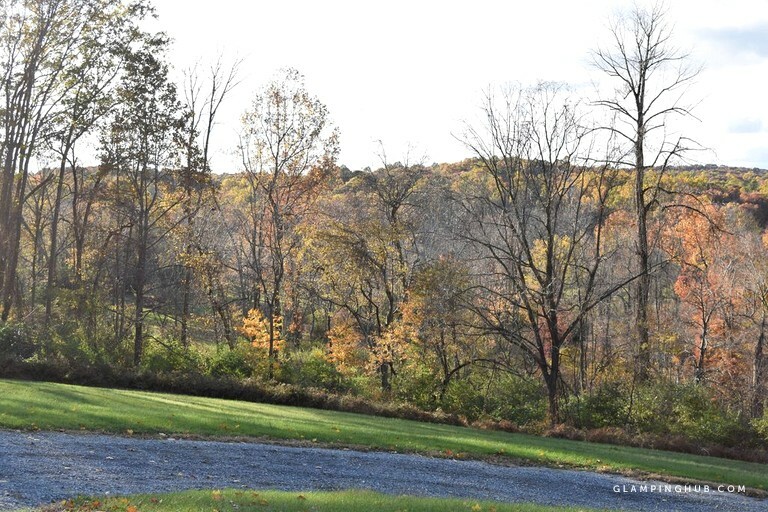 The is situated in a two acre clearing near the back of almost ten wooded acres. The road is not visible from the cabin, which is actually a tenth of a mile from the road. 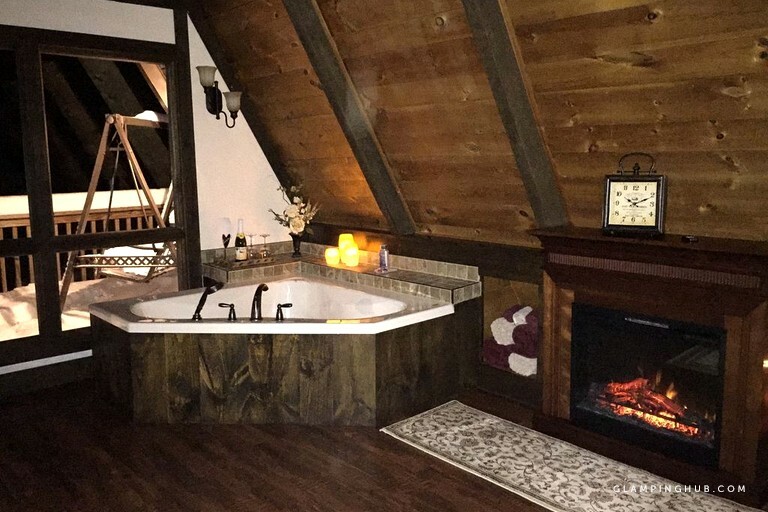 Guests may see wildlife as they relax in the hot tub on the patio or explore the woods and walk along the creek. 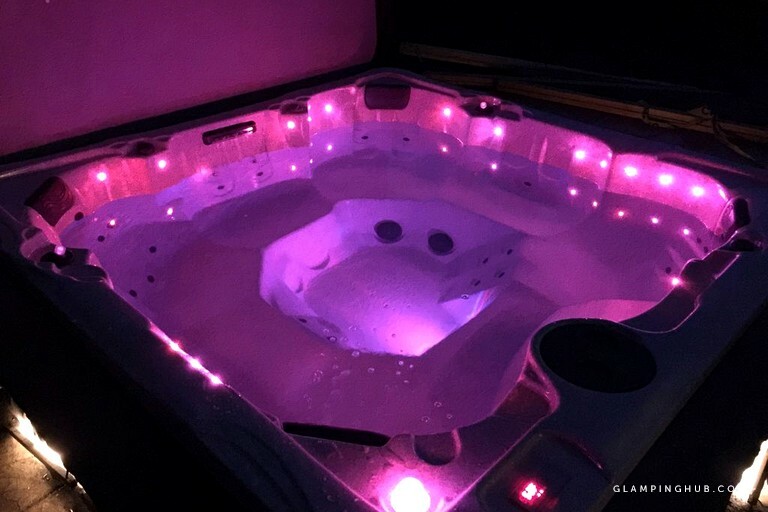 The property has a custom outdoor year-round chemical free hot tub with a saline-based purification system nestled into the patio for comfortable entry and exit. 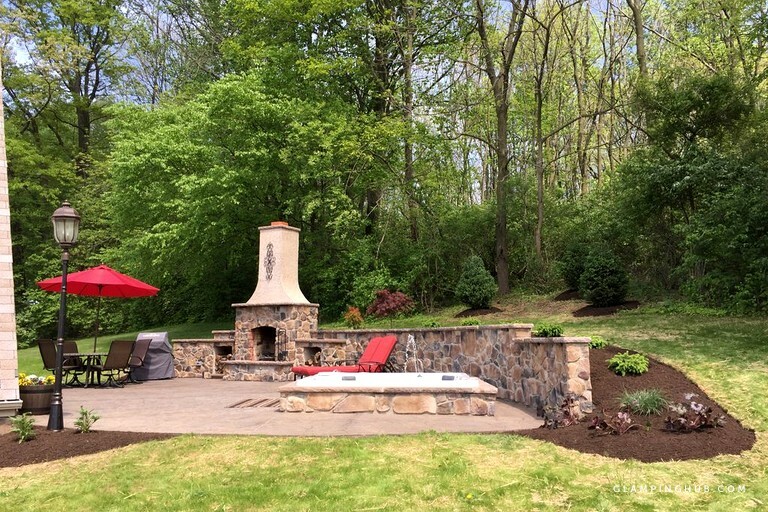 Glampers will love to relax on the double lounger by the outdoor fireplace after unwinding in the hot tub while smelling their steak on the propane grill or hamburgers over the open fireplace. 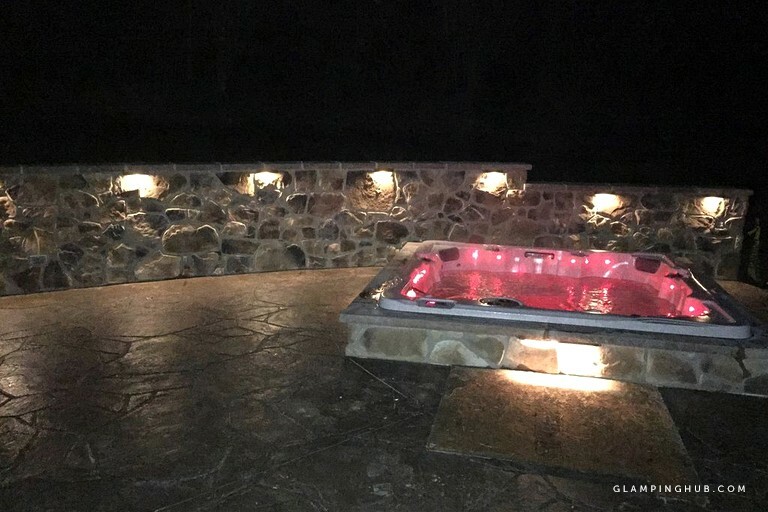 Accent lighting on the wall, fireplace, hot tub, and wall/post lights, as well as area security lighting, are controlled by guests to create the most elegant and romantic outdoor experience. 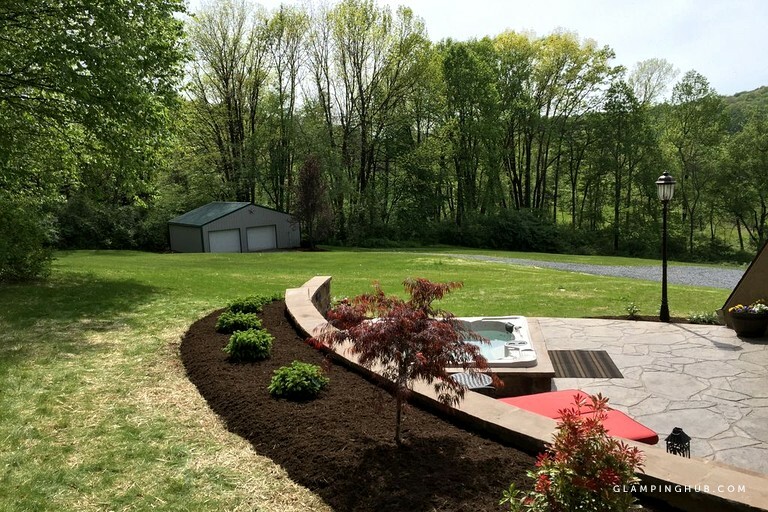 There is also an outdoor shower on the patio for guests to rinse off before, or cool off after the hot tub experience. 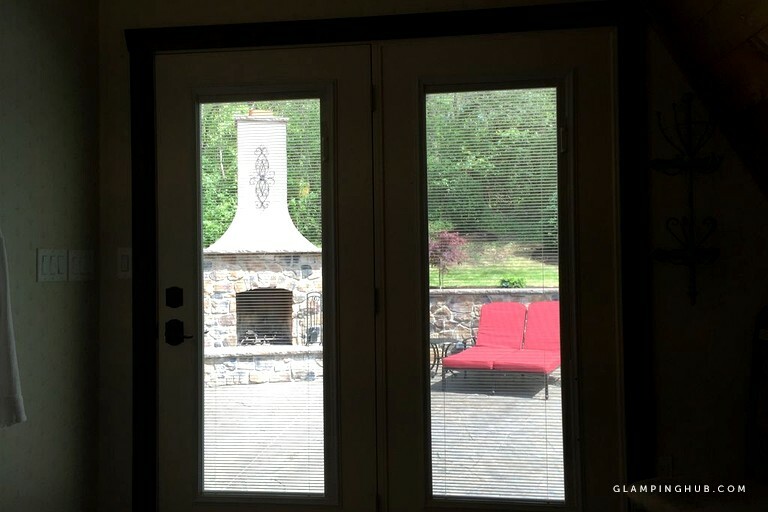 Guests can watch a cheerful fire burning in the fireplace on the patio through the patio doors from the comfortable inclining queen bed and watch the sun go down in the west from the indoor Jacuzzi which is near the front windows in the main room. 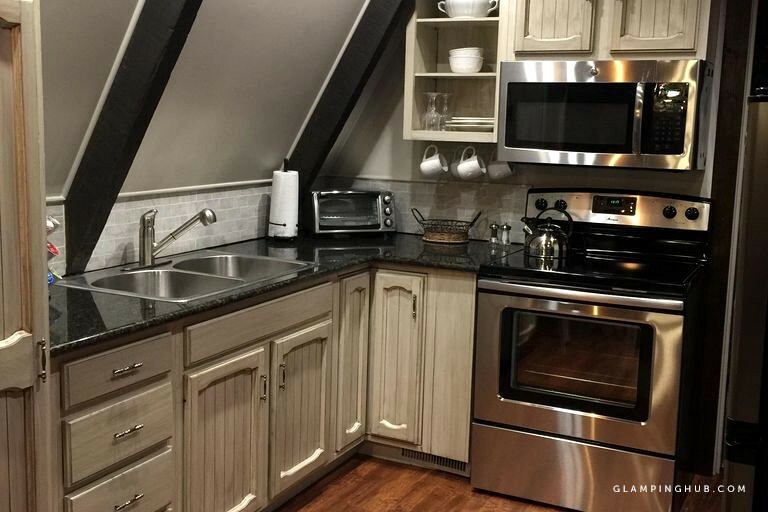 The modern kitchen with granite counter tops has stainless steel appliances, including a full range, a microwave, a toaster oven, a Keurig coffeemaker, and fridge/freezer. 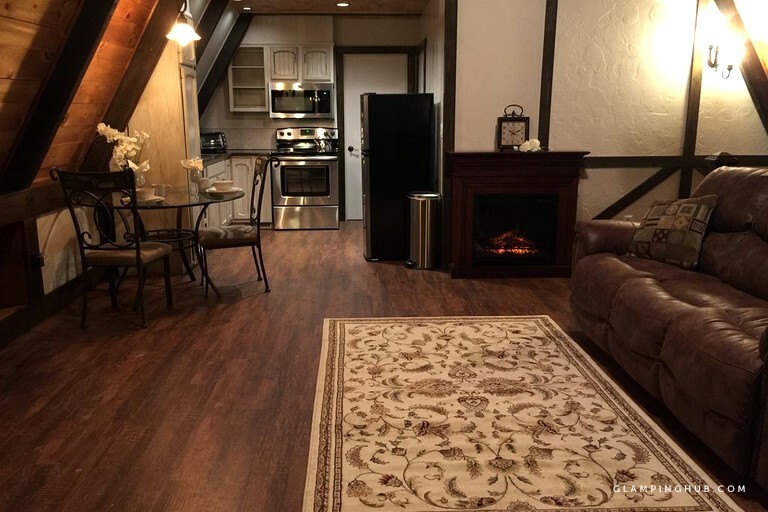 Guests also have use of the washer and dryer on the ground floor, firewood for the outdoor fireplace, unlimited incoming and outgoing calls to anywhere in the United States and Canada on the phone in the cabin, and high-speed internet Wi-Fi. 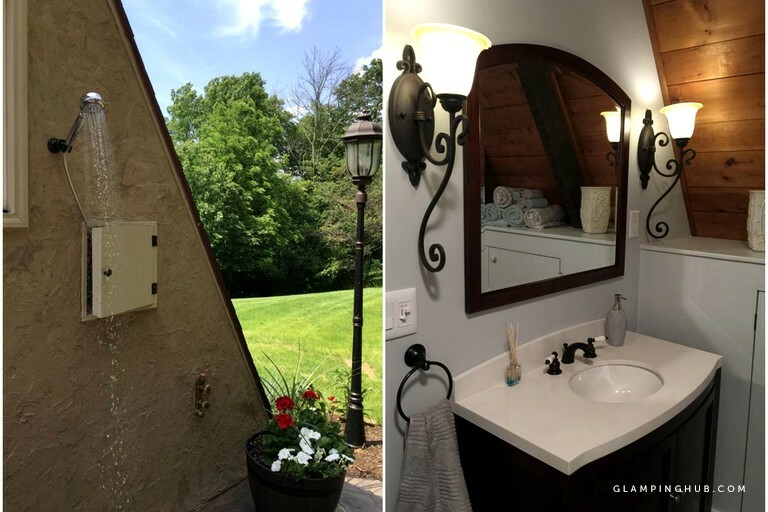 Glampers will love being able to unwind and relax in this rural setting, there is great access to wonderful hiking and walking trails through the countryside and there are also hunting spots. 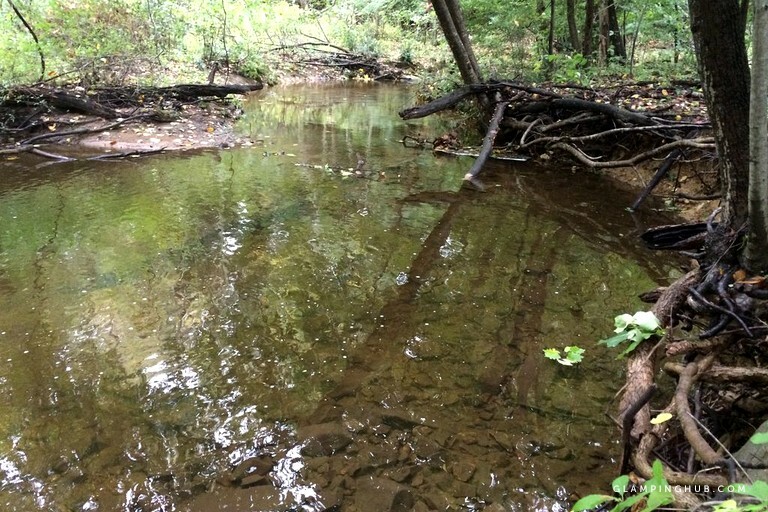 Mountain biking is a popular pastime her also and there are wonderful forests and ponds to visit and there is prime bird watching locations, especially by the water. 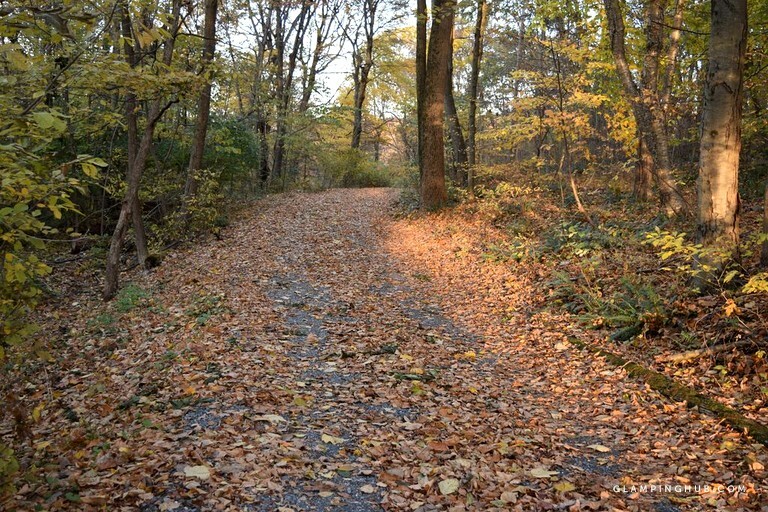 In the local area, there are plenty of scenic drives to enjoy and activities in the surrounding towns and villages such as shopping and antiquing. 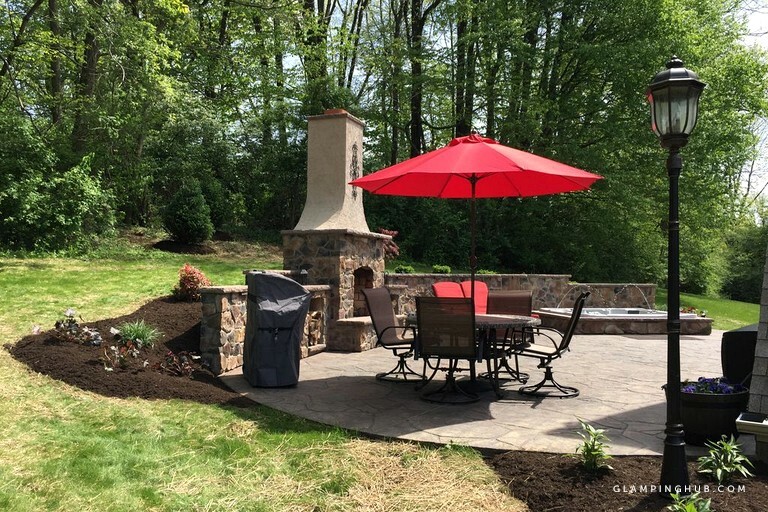 For guests safety and peace of mind, a fully automatic generator (power standby) unit is installed to provide full power to this property and all its amenities in the rare event of a power outage in the area.